An effective layered defense incorporates a wide-range of sensors to detect and track threat missiles through all phases of their trajectory. Satellites and a family of land-and sea-based radars provide worldwide sensor coverage. 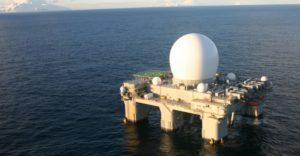 Army/Navy Joint Electronics Type Designation System/AN/SPY-1 Radar is critical for the U.S. Navy’s aerial radar infrastructure and is a key component of Aegis Ballistic Missile Defense System at sea and on land. 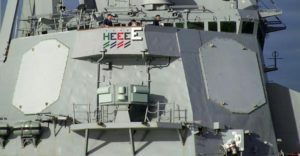 U.S. Navy cruisers and destroyers employ SPY-1—in addition to a number of foreign vessels—for Aegis Sea-Based BMD, while on land, the radar system is utilized by Aegis Ashore missile defense sites. 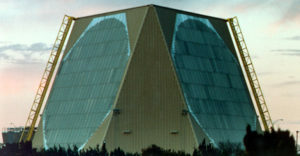 Developed by Lockheed Martin, SPY-1 radar was originally designed as an air defense system, but has been upgraded to include a ballistic missile defense (BMD) capability. Click here to learn more about AN/SPY-1. The AN/MPQ-53 is the radar program and missile commander for the Patriot MIM-104 defense systems. Specializing in medium/high altitude anti-ballistic missile defense, the system is a collaboration between Lockheed Martin and Raytheon that consists of a C-band frequency. 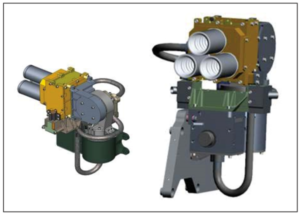 It is a passive electronically scanned array radar system which is remotely operated by 3-4 people using the MSQ-104 Engagement Control Station (ECS) via a cable link. The MPQ-53 is unique in the sense that it is a “detection-to-kill” system, meaning that a single unit performs all its functions in comparison to other Surface-to-Air Missile Systems (SAM) which require several radars to function efficiently. Click here to learn more about AN/MPQ-53-65 radar. 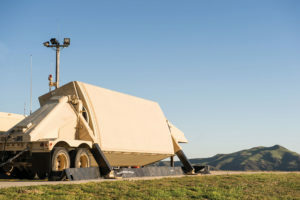 The Army Navy/Transportable Radar Surveillance and Control, o r AN/TPY-2, is a transportable X-band, high-resolution, phased-array radar designed specifically for ballistic missile defense. The AN/TPY-2 is capable of tracking all classes of ballistic missiles and identifying small objects at long distances. In the forward-based mode, this radar plays a vital role in the Ballistic Missile Defense System (BMDS) by acting as a forward based sensor for the system, detecting ballistic missiles early in their flight and providing precise tracking information for use by the system. Click here to learn more about AN/TYP-2. The U.S. Air Force operates the Cobra Dane Radar at Eareckson Air Station on Shemya Island, Alaska. It is a stationary radar that provides midcourse coverage for the United States ballistic missile defense (BMD) system, primarily working with the Ground-based Midcourse Defense (GMD) system in defense of the U.S. homeland from long-range ballistic missile threats. The Cobra Dane is a long-range phased array radar that can detect objects 2,000 miles away. The radar has a 95-foot diameter and stands 120 foot tall. Click here to learn more about Cobra Dane. The Defense Support Program (DSP) satellites provide early warning for Intercontinental Ballistic Missile (ICBM) and tactical launches. This once classified satellite, now known as DSP, was first launched in 1970 and became the first of many to be launched over the next 37 years. 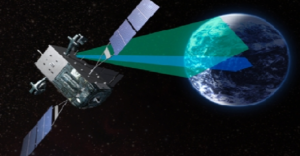 DSP satellites use infrared sensors to detect heat from missile and booster plumes against the Earth’s background in support of the missile early warning and missile defense mission areas. Click here to learn more about DSP. 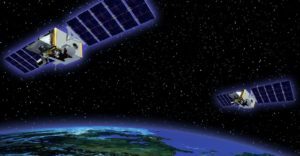 SBIRS is designed to provide global, persistent, infrared surveillance capabilities including missile Warning and missile defense. SBIRS will provide reliable, unambiguous, timely and accurate warning for theater and strategic missile launches. The system will also deliver critical information supporting the effective operation of missile defense systems against national and theater threats. Click here to learn more about SBIRS. 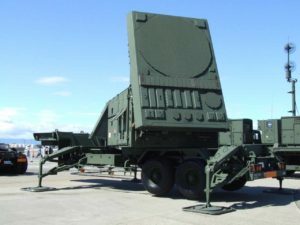 The Sea-Based X-Band (SBX) Radar acquires, tracks and discriminates the flight characteristics of ballistic missiles. The SBX provides an advanced capability to the Ballistic Missile Defense System (BMDS), increasing the Missile Defense Agency’s ability to conduct operational and realistic testing of the BMDS, while providing an operational capability to the Combatant Commands. Click here to learn more about SBX. Click here to learn more about STSS. 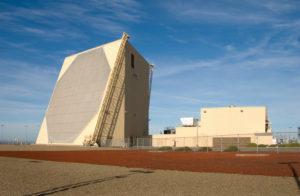 Three Air Force Early Warning Radars (UEWR), located in Beale, Calif.; Fylingdales, United Kingdom; and Thule, Greenland, were upgraded and integrated into the Ballistic Missile Defense System (BMDS). 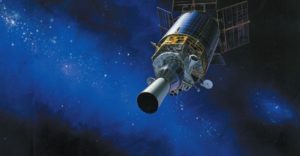 The upgrades modernized the hardware and software to improve midcourse BMDS sensor coverage by providing critical early warning, tracking, object classification and cueing data. All three UEWRs will transfer to the U.S. Air Force for sustainment in FY13. The Early Warning Radar in Clear, Alaska began the UEWR modernization in FY12. The Cape Cod Early Warning Radar upgrade is currently an unexercised option on the Clear upgrade contract. Click here to learn more about UEWR. SKA sensors are currently in development at the John Hopkins University Applied Physics Laboratory in Laurel, Maryland. These sensors will be hosted aboard commercial satellites and placed into orbit to provide improved hit and kill assessment, the determination of whether a threat missile has been eliminated by a missile defense interceptor, for the Ballistic Missile Defense System (BMDS). Current plans call for deployment of numerous SKA sensors to create a space-based sensor network that will improve kill assessment and increase the efficiency of the BMDS. Click here to learn more about SKA. 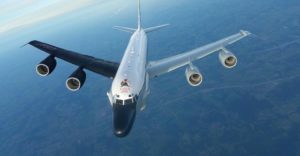 The Cobra Ball RC-135S is a rapidly deployable aircraft which uses multiple sensors to detect ballistic targets as well as provide verification measures in arms control situations. These instruments include a range of optical and electronic sensors as well as recording tools which are able to observe ballistic missile flights at long range. Within a short duration after launch detection, estimations of launch and intercept points are capable of being transmitted to theater elements such as AWACS, JSTARS, and the AOC. Click here to learn more about Cobra Ball.